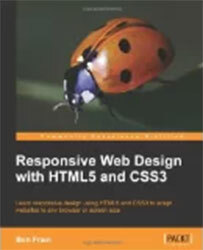 In this course, learners examine the basics of Responsive Web Design. Students compare and contrast responsive design with other approaches to multi-platform and device design, and are introduced to testing tools (emulators/simulators) for various platforms that could be targeted and use these tools to validate their work. Learners also develop a wireframe for a responsive website and create a simple responsive website based on a site they previously designed using flexible grids, flexible images, and CSS3 media queries. Students will then adapt this site so that it functions well on desktop, mobile, and tablets thus creating a fully responsive Web design conversion. Interested in being notified about future offerings of MDIA 4311 - Responsive Web Design? If so, fill out the information below and we'll notify you by email when courses for each new term are displayed here.